Why do Russia’s mysterious ‘spirit-wrestlers’ continue their struggle in Canada? Women at the prayer meeting. In the 19th century, the Doukhobors in southern Russia were labeled “people of the 25th century” by writer Leo Tolstoy. In the 21st century, however, these religious dissidents struggle to preserve their way of life in rapidly modernizing Canada. “Things are changing: for example, the way that you come to Sunday school is more relaxed. When we went to Sunday school, men couldn’t wear jeans and girls always had to wear skirts and platki; there was a way to do things. 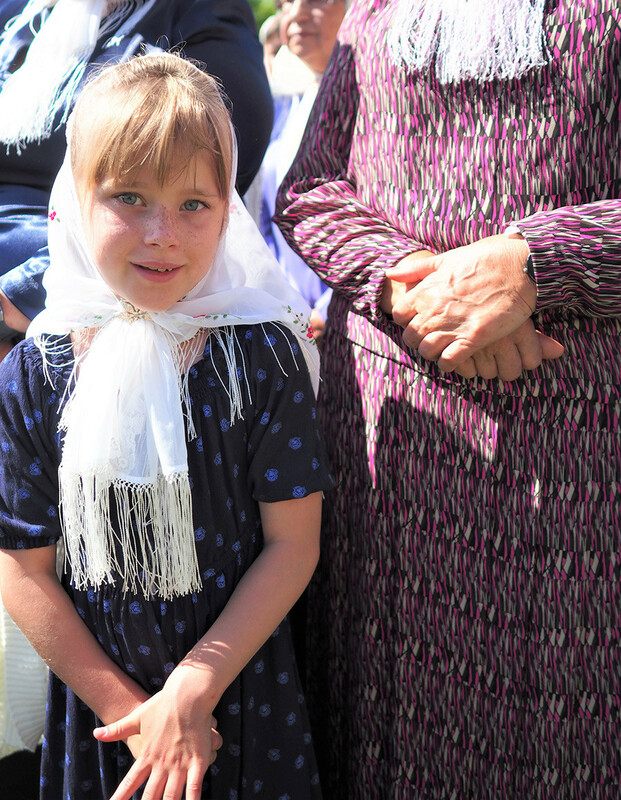 That tradition might end up going by the wayside,” said Tasha Kanigan, 28, who was raised a Doukhobor and now has her own children. “I like those customs; it's a part of what makes me a Doukhobor, not just the values,” Tasha added, one of many young Doukhobors who share such sentiments. Even after more than a hundred years, their settlements are reminiscent of Russian villages. They clearly remember and respect their origins and traditions. 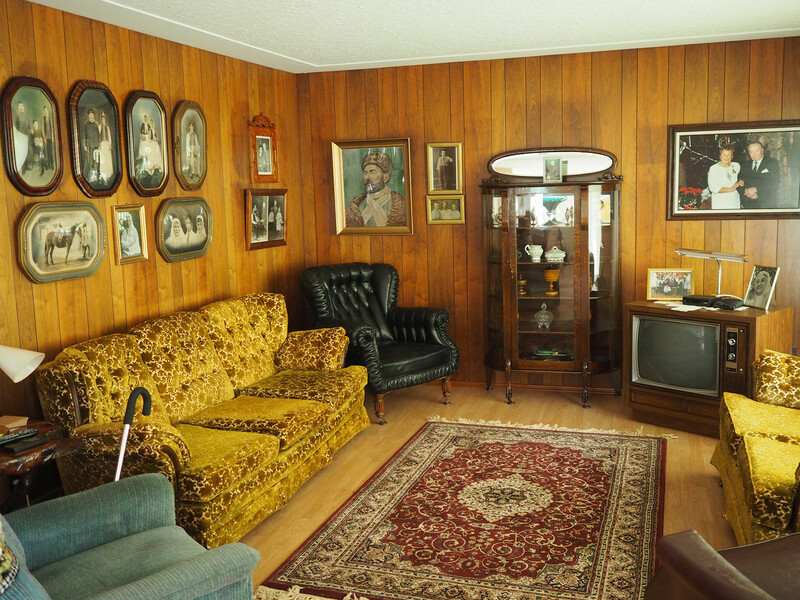 Even knowing that Castlegar, where most Dukhobors live today, is a remote town in the province of British Columbia, it's easy to spot Russian faces in the crowd. The Doukhobor sect appeared in Russia in the early 1700s, and the name translates as “spirit-wrestlers.” They often faced persecution from the Tsarist government because of their rejection of Russian Orthodoxy and its priesthood, rituals, and icons. The Doukhobors’ pacifist views and refusal to join the military was another reason the state disliked them, and eventually, they were expelled from Russia in the late 19th century. Leo Tolstoy helped them immigrate to western Canada, where they remain known for pacifism, as well as a cappella singing and their communal way of life. Every Sunday they gather for prayer at their community house or on the lawn outside. Women stand on one side with shawls covering their heads, and men on the other side wear kosovorotki, a traditional shirt hand-sewn from hemp. There is a table with bread, salt, and water, which are Doukhobor symbols of toil and a peaceful life. 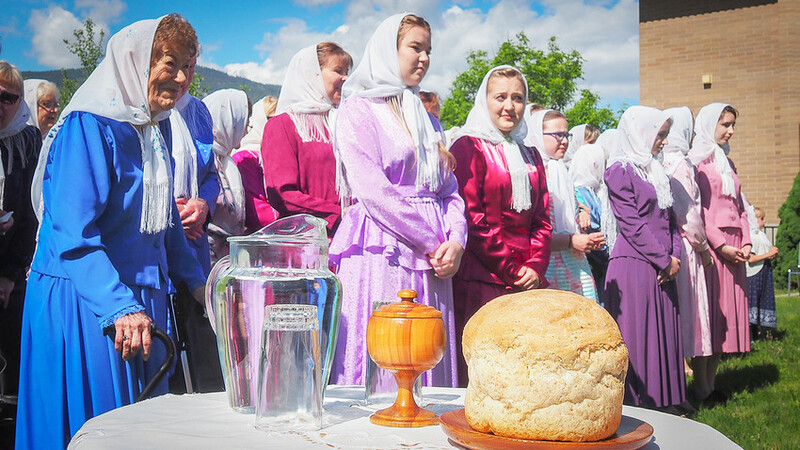 After they sing psalms in Russian, each bows to the person next to him, recognizing the spirit of God, which according to Doukhobor beliefs, is within the heart and soul of every human being. “I'd never want anything else for my kids and my grandkids. I want that for them, and I try to have that for them,” Kanigan said. Today, fewer and fewer young Doukhobors are keen to continue their traditions and the way of life that their ancestors brought from Imperial Russia. Many elders feel that after they die, there’ll be no one left to take up the banner of Doukhoborism. “Everybody in the last year or so has come into a tiny bit of a panic, realizing that all of a sudden, holy moly, there's not many of us left,” said Fred Makortoff, B.C. coordinator of the Council of Doukhobors in Canada. Ariana Ogloff during the prayer meeting. This has prompted leaders and youth in the community to search for ways to stem their diminishing numbers. Ideas include finding an economic breakthrough for the community, as well as creating an online platform to unite Doukhobors scattered around the country. Shane Whittleton, 26, is one of the few Doukhobor youths who is trying to save the dying culture. He said the community lacks a common project that would galvanize its members and give them a reason to stick together. “There had always been a common goal, which made communal living that much easier,” said Whittleton, referring to the Brilliant Jam Factory in the early 1900s, where most of the local Doukhobors worked.